Inspired since my first experience of anaesthetic research as a clinical and research fellow in Toronto, I have maintained an active interest in research throughout my training and as a Consultant. As a Consultant, my research interests are in clinical paediatric anaesthesia and medical education. I have supervised trainee research projects,providing assistance with research methodology, writing peer reviewed journal publications, case reports, book chapters, review articles and letters. In the shorter competency-based training there is less time available for the trainees to concentrate on research and to gain familiarity with research design and methodology. My goal is to encourage trainees to participate in high quality research and to impart some of the enthusiasm I have acquired for research to trainees I supervise. A recent example of my facilitation was with a core trainee for whom I was the educational supervisor who wished to combine a career in anaesthesia with research. By exploring possibilities together he has recently been appointed to a newly developed academic anaesthesia post in the Peninsula and is studying for a PhD. I completed a Masters in Clinical Science (Aggregate score 69%) in 2004 studying modules in statistics and research methodology, health services management, personal professional and team development, teaching and learning, child law, adolescent health and children with special needs. My dissertation was ‘Meta analyses of post-operative nausea and vomiting comparing anaesthesia with propofol and sevoflurane in adults and children’. We have received much positive feedback on the guidelines from our international membership. In 2010 I developed a POV Guideline Credit Card summarising the guidance that was distributed to all members of the APAGBI. I have recently been asked by the Royal College of Anaesthetists to develop an audit recipe for assessing the efficacy of prevention and treatment of POV in children. This will focus on how closely the guidelines have been adhered to and how successful they have been in preventing and treating POV. Since working in the Department of Health my publications in medical education have focused on policy and research strategies in, for example, evaluating selection methodology and practices into specialty training to inform policy. My publications have concentrated on providing information to trainees and trainers on new methods of specialty selection, competition into specialty training and career guidance. I am frequently asked by the Research and Development Department of the Department of Health to review articles and research bids related to my policy areas. In 2009-10 on behalf of the Department of Health, I liaised closely with the researchers from the University of Birmingham who performed a National Evaluation of Specialty Selection (Grant funding £780,000) to ensure that the research presented helped further our understanding of selection into specialty training and reflected the changes that have taken place since the evaluation project was commissioned in 2007. I summarised the findings and presented them to Medical Programme Board of Medical Education England in 2010, making recommendations on further areas for development that were accepted and are currently in progress. On behalf of the Medical Education and Training Programme Department of Health I am leading the development of the research specification on cohort studies of doctors’ careers(Investigators: Michael Goldacre and Colleagues, Oxford) to ensure that areas studied in 2011-12 are closely aligned to policy areas. I meet with the investigators for interim reports and review their manuscripts. Wave 1 Department of Health Funding for a Pilot in Recruitment & Selection into Specialty Training in the Peninsula: I am one of a small group of seven anaesthetist colleagues in Plymouth awarded over £240,000 Department of Health grant funding to investigate the efficacy of a machine markable test and multi-station multi-modal selection centre for recruitment and selection of specialty trainees into ST1 acute specialties (anaesthesia, emergency medicine and acute medicine). My role in this has been as a key driver for the project,seizing the opportunities that have been presented to acquire funding on three consecutive years (2008-10) to advance the project. I have also been instrumental in connecting our research group with researchers outside the Peninsula who have been able to teach us the methodology needed to fulfil the requirements of the grants. I have also been key in the dissemination of our findings and in promoting our research. In 2010 I was invited to join a national working party to plan the delivery of a national clinical problem solving test pilot for selection into specialty training across England by the Academy of Medical Royal Colleges. As a key member of this group I succeeded in arranging for our Peninsula acute specialties situational judgement test (SJT) pilot to be piloted at the same time across England and Wales. Over 600 trainees wishing to apply for a range of specialties at ST1 completed our SJT. We now have a well-validated SJT suitable for selection into specialty training at ST1 in the acute specialties. Since 2007 we have been developing a multi station multi modal selection centre for selection into specialty training in anaesthesia. Using simulation and role-play involving actors we have been able to assess the performance of applicants to specialty training in anaesthesia in ways closely aligned to situations they may encounter in the workplace. We are also performing a longitudinal follow-up of all successful applicants comparing their performance in simulation in the selection centre to similar performances in work-based assessments in theatre throughout the training. I also took the opportunity of introducing the selection centre work we have done to the Royal College of Anaesthetists and ensuring a member of our research group was invited to join the national working party for specialty selection into anaesthesia. Our selection centre developed through our research was incorporated into national selection in anaesthesia in 2011 and is fully endorsed by the Royal College of Anaesthetists. We are currently evaluating the process. At national level I am currently working with members of the Academy of Medical Royal Colleges to develop strategy for further development of a machine marked test for national selection into specialty training across all specialties at ST1 in 2012 and beyond. We have presented our work on selection into specialty training on many occasions at national and international conferences and are starting to publish our findings in peer-reviewed journals. I have reviewed journal articles for Paediatric Anaesthesia and Medical Education. Lazzell VA, Carr AS, Lerman J, Burrows FA, Creighton RE: The Incidence of Masseter Muscle Rigidity After Succinylcholine in Infants and Children. Canadian Journal of Anaesthesia 1994; 41: 475- 9. Accompanied by an Editorial. Shorten GD, Bissonnette B, Hartley E, Nelson W, Carr AS: It is not necessary to administer more than 10 µg/ kg of atropine to older children before succinylcholine. Canadian Journal of Anaesthesia 1995; 42: 8- 11. Carr AS, Lerman J, Cunliffe M, McLeod ME, Britt BA: Incidence of malignant hyperthermia reactions in 2,214 patients undergoing muscle biopsy. Canadian Journal of Anaesthesia 1995; 42: 281- 6. Vener DF, Carr AS, Sikich N, Bissonnette B, Lerman J: Dimenhydrinate decreases post-operative vomiting in pediatric patients after strabismus surgery. Anesthesia and Analgesia 1996; 82: 728- 31. Zestos MM, Carr AS, McAuliffe G, Smith HS, Sikich N, Lerman J: Subhypnotic propofol does not treat postoperative vomiting in children after adenotonsillectomy. The Canadian Journal of Anaesthesia 1997; 44: 401- 4. Carr AS, Mather SJ: Propofol and vomiting after paediatric strabismus surgery. Anaesthesia Points West 1997; 30 (1): 21-6. Sikich N, Carr AS, Lerman J: Parental Perceptions, Expectations and Preferences for the post Anaesthetic Recovery of Children. Paediatric Anaesthesia 1997; 7: 139- 142. Brett PN, Parker TJ, Harrison AJ, Thomas TA, Carr AS: Simulation of resistance forces acting on surgical needles. Proc Instn Mech Engrs 1997; 211(H): 335- 347. Sneyd JR, Carr A, Byrom BD, Bilski AJT: A meta-analysis of nausea and vomiting following maintenance of anaesthesia with propofol or inhalational agents. European Journal of Anaesthesiology 1998; 15: 433- 445. Carr AS, Fear DW, Sikich N, Bissonnette B: Bupivacaine 0.125% produces motor block and weakness with fentanyl epidural analgesia in children. Canadian Journal of Anaesthesia 1998; 45: 1054- 60. Rousseau GF, Carr AS: Is there still a need for reserve nitrous oxide cylinders on the anaesthetic machine? An audit of attitudes and equipment at a large district general hospital. Anaesthesia 2000; 55: 883-5. Mukherjee K, Esuvaranathan V, Streets C, Johnson A, Carr AS: Adenotonsillectomy in children: A comparison of morphine and fentanyl for perioperative analgesia. Anaesthesia 2001; 56: 1193-7. Brown R, Carr AS: Perceptions of the effects of hours’ reduction on training Specialist Registrars in Anaesthesia. Anaesthesia Points West 2007; 40: 44-9. Margetts L, Carr A, McFadyen G, Lambert A: A comparison of caudal ketamine with penile block for paediatric circumcision. European Journal of Anaesthesiology 2008; 25: 1009-13. Lam H, Gale T, Anderson I, Sice P, Langton J, Davies P, Carr A: The Peninsula Experience in Anaesthesia Recruitment with Department of Health (DH) Funded Pilots. Royal College of Anaesthetists Bulletin 2009; 57: 24-27. Gale T, Roberts M, Sice P, Langton J, Patterson F, Carr A, Anderson I, Lam H, Davies P. Predictive validity of a selection centre testing non-technical skills for recruitment to training in anaesthesia. Br J Anaesth 2010; 105: 603-609. Carr AS. Appendix 4. Recommendations by the Medical Programme Board on Core Surgical Training, p. 236-264. In Centre for Workforce Intelligence report “Recommendations for Specialty Training 2011”. Crossingham G, Gale T, Roberts M, Carr A, Langton J and Anderson I. Content Validity of a Clinical Problem Solving Test for use in Recruitment to the Acute Specialties. Clinical Medicine 2011; 11: 22-25. Irish B, Carr A, Sowden D, Douglas N, Patterson F. Recruitment into specialty training in the UK. British Medical Journal Careers 2011; 12 January. Carr AS, Munsch C, Buggle S, Hamilton P. Core surgical training and progression into specialty surgical training: how do we get the balance right? Ann R Coll Surg Engl (Suppl) 2011: 93:244–248. Carr AS: Pericardial Disease (p. 145-165) in: Stone DJ, Bogdonoff DL, Leisure GS, Matheo DD, Spiekermann BF: Perioperative Care: Anesthesia, Medicine, and Surgery, published by Mosby (1998). Carr AS: Ear, Nose and Throat Surgery: Anesthetic Considerations And Post-Operative Management. Chapter 64. (p.1228-1258) in Bissonnette B, Dalens B: Pediatric Anesthesia- Principles and Practice,1st Edition, McGraw-Hill (2002). Carr AS: Chapter 3. Anaesthetic management for pyloromyotomy in a district general hospital. In Stoddart PA and Lauder GR (Ed). Problems in Anaesthesia, Paediatric Anaesthesia, Taylor & Francis (2004). Carr AS, Elliott D: Chapter 19: Otorhinolaryngology: Anesthetic Considerations in Bissonnette B, Anderson BJ, Bösenberg A, Engelhardt T, Mason L, Tobias JD: Pediatric Anesthesia: Basic Principles-State Of The Art-Future, Peoples' Medical Publishing House –USA (2011). Carr AS: Chapter 19. Prevention and treatment of post-operative vomiting in children (p.174-183) in Core Topics in Paediatric Anaesthesia, Editors: James & Walker I, Cambridge University Press 2013. Carr AS: Principles of anaesthesia for common elective and emergency operations in children. Anaesthesia and Intensive Care Medicine 2000; 1(2): 47-54. Carr AS: Principles of anaesthesia for children. Anaesthesia & Intensive Care Medicine 2003; 4: 380-9. 1. AldwinckleA, Carr AS: Anaesthetic managementof a patient with Emery-Dreifuss Muscular Dystrophy. Can J Anaesth 2002; 49: 467-70. Carr AS, Hartley EJ, Holtby HM, Cox P, Macpherson BA: Caudal Morphine and Early Extubation of the Trachea Post Cardiac Surgery in Children. Canadian Journal of Anaesthesia 1994; 41: A15A. Carr AS, Hartley EJ, Levine M, Yentis S, Lerman J: Ambulatory Surgery and Children with Suspected or Proven Malignant Hyperthermia. Canadian Journal of Anaesthesia 1994; 41: A56B. Markakis MA, Carr AS, Sikich N, Lerman J: Propofol as a Treatment for Postoperative Emesis in Children. Canadian Journal of Anaesthesia 1994; 41: A58B. Markakis MA, Hartley EJ, Holtby HM, Carr AS, Cox P, Macpherson BA: Caudal Morphine Analgesia in Infants undergoing thoracotomy for Extracardiac Surgery. Canadian Journal of Anaesthesia 1994; 41: A58A. Carr AS, Fear DW, Sikich N, Bissonnette B: Continuous Epidural Infusions of Fentanyl and Fentanyl-Bupivacaine in Children undergoing Urological Surgery. Abstract for the 3rd International Symposium on Paediatric Pain, Philadelphia, Pennsylvania, USA, June, 1994. Carr AS, Splinter WM, Bevan J, Reid CR, Stephenson CA, Lerman J: Ondansetron reduces Postoperative Vomiting in Pediatric Strabismus Surgery. Anesthesiology 1994; 81: A22. Carr AS, Holtby HM, Hartley EJ, Cox P, Macpherson BA: The Dose Response of Caudal Morphine in Children undergoing Open Heart Surgery. Anesthesiology 1994; 81: A1348. Carr AS, Markakis MA, Holtby HM, Hartley EJ, Cox P, Macpherson BA: Caudal Morphine for Thoracotomy in infants undergoing extracardiac vascular surgery. Anesthesiology 1994; 81: A1001. Carr AS, Fear DW, Sikich N, Bissonnette B: Is there any advantage to the addition of bupivacaine to an epidural infusion of fentanyl in children undergoing urological surgery? Anesthesiology 1994; 81: A1342. Vener D, Carr AS, Sikich N, Bissonnette B, Lerman J: Does Dimenhydrinate Control Vomiting in Children after Outpatient Strabismus surgery? Anesthesiology 1994; 81: A21. Shorten GD, Bissonnette B, Hartley E, Nelson W, Carr AS: Is it necessary to administer atropine 20 µg/ kg prior to succinylcholine in older children? Anesth Analg 1995; 80: S442. Carr AS, Mather SJ: Are prophylactic antiemetics necessary to reduce postoperative nausea and vomiting in children induced with propofol for strabismus surgery? Abstract for The Meeting of The Association of Paediatric Anaesthetists, Bristol in March, 1996. Carr AS, Sneyd R: A meta-analysis of nausea and vomiting following maintenance of anaesthesia with propofol or inhalational agents. Proceedings of The World Congress of Anaesthesiologists, 1996. Carr AS, Montgomery J, Baxter: Do non-steroidal anti-inflammatory drugs increase bleeding after paediatric tonsillectomy? Abstract for The Pediatric Anesthesiology Meeting, in Sanibel, Florida, USA in February, 2000. Esuvaranathan V, Mukherjee K, Streets C, Johnson A, Carr AS: Intra-operative fentanyl reduces early vomiting after paediatric tonsillectomy compared with morphine. Abstract for The Pediatric Anesthesiology Meeting, in Sanibel, Florida, USA in February, 2000. Esuvaranathan V, Mukherjee K, Streets C, Johnson A, Carr AS: Intra-operative fentanyl reduces early vomiting after paediatric tonsillectomy compared with morphine. Paediatric Anaesthesia 2000; 10: 697-8. Pittaway A, Esuvaranathan V, Carr AS: A prospective audit of efficacy of nerve blocks for post-operative analgesia in children undergoing orthopaedic procedures of the lower limb. Abstract for The Annual Scientific meeting of The South West Association of Children’s Anaesthetists, October, 2000. Sweeting CS, Carr AS: Caudal ketamine and bupivacaine in subumbilical paediatric day surgery, a prospective audit of postoperative outcomes. Abstract for The Annual Scientific meeting of The South West Association of Children’s Anaesthetists, October, 2000. Carr AS, Sharpe R, Cooper N: The development of packets for in-theatre teaching and learning of paediatric anaesthesia: an Action Research Project. Abstract for The Association for the Study of Medical Education Annual Scientific Meeting 2001, Dublin, Ireland. Loxdale S, Carr AS: A prospective audit of analgesia for paediatric orthopaedic trauma. Abstract for The Annual Scientific meeting of The South West Association of Children’s Anaesthetists, October, 2001. Streets C, Carr AS: The Braun ThermoScan Thermometer: Validation of normal ranges in a paediatric practice. Abstract for The Annual Scientific meeting of The South West Association of Children’s Anaesthetists, October, 2001. Prize awarded for Best Trainee Abstract Presentation. Streets C, Carr AS: The Braun ThermoScan Thermometer: Validation of normal ranges in a paediatric practice. Paediatr Anaesth 2002; 12: 831-2. Carr AS, Sharpe R, Cooper N: The development of packets for in-theatre teaching and learning of paediatric anaesthesia: an Action Research Project. Abstract for The Annual Scientific Meeting of The Society for Education in Anaesthesia, Eastbourne, November 2001. Prize awarded for best oral poster presentation. Carr AS, Wright D, Sneyd JR: A meta-analysis of postoperative nausea and vomiting comparing propofol and sevoflurane. European Journal of Anaesthesiology 2002; 19: A 29. Carr AS, Cooper N: Action learning in healthcare: what may be achieved? Abstract for the ILT 2002 Conference in Edinburgh, June 2002. Fisher L, Carr A: Paediatric preoperative fasting times. Abstract for The Annual Scientific meeting of The South West Association of Children’s Anaesthetists, October 2002. Lee J, Carr A: Audit of postoperative vomiting after paediatric strabismus surgery. Abstract for The South West Ambulatory Group, October 2002. Berry J, Courtman S, Carr AS, Johnson A:A paediatric pain snapshot: Evidence of progress. Abstract for The Annual Scientific meeting of The South West Association of Children’s Anaesthetists, October 2003. Prize awarded for Best Trainee Abstract Presentation. Berry J, Courtman S, Carr AS, Johnson A: Evidence of progress: implementing a paediatric pain service. Eur J Anaesth 2004; 21 (Suppl. 32): A 790. Carr AS, Wilks S: Development of a Framework for E-learning for Phase 2 of the BMBS Undergraduate Course. Abstract for The Harvard-Macy Physician-Educators Programme, Boston 2004. Margetts L, Carr A, MacFayden G, Lambert A. A comparison of caudals with ketamine and penile blocks in children undergoing circumcision. Abstract for The Annual Scientific meeting of the Association of Paediatric Anaesthetists, 2005. Adams D, Sice P, Anderson I, Gale T, Lam H, Langton J, Davies P, Carr A. Validation of Simulation for Recruitment to Training Posts in Anaesthesia. Anaesthesia 2009; 64(7): 805-6. Crossingham G, Gale T, Roberts M, Sice P, Lam H, Langton J, Davies P, Anderson I, Carr A. Validation of a six station OSCE style selection centre model for recruitment to anaesthesia in the South West Peninsula Deanery. British Journal of Anaesthesia 2009; 103(2): 317P. Crossingham G, Sice P, Roberts M, Gale T, Lam H, Anderson I, Carr A, Davies P, Langton J. Improving Work Place Assessments in Anaesthesia. Anaesthesia 2010; 65(1): 100-1. Anderson I, Gale T, Roberts M, Patterson F, Carr A, Carr V, Crossingham G, Davies P, Lam H, Sice P, Langton J. A machine marked test for recruitment to anaesthesia and acute care common stem core training programmes in the South West of England. British Journal of Anaesthesia 2010; 104(4): 528P. Roberts M, Gale T, Anderson I, Sice P, Davies P, Lam H, Langton J, Carr A. A selection centre for recruitment to specialty training based on the assessment of non-technical skills and incorporating simulation Medical Education 2010; 44(s3): 88. Burr B, Patterson F, Berkin L, Irish B, Lazell S, Carr A, Harding S. New machine-marked tests for selection into core medical training: Evidence from a longitudinal validation study. Ottawa Conference, Kuala Lumpur, 2012. Patterson F, Gale T, Rowley D, McKnight L, Hinshaw K, Williams D, MacGregor A, Carr A. Using situational judgements tests (SJTs) of non- cognitive skills in postgraduate selection; validation evidence from seven independent studies. Ottawa Conference, Kuala Lumpur, 2012. Carr A. How best to select for professional attributes in medicine? Implications for international policy and practice. 10th Asia Pacific Medical Education Conference, Singapore, 2013. "Continuous Epidural Infusions of Fentanyl and Fentanyl-Bupivacaine in Children undergoing Urological Surgery". Oral poster presentation at the 3rd International Symposium on Paediatric Pain, Philadelphia, Pennsylvania, USA, 6-9 June, 1994. "Caudal Morphine and Early Extubation of the Trachea Post Cardiac Surgery in Children". Oral poster presentation at The Canadian Anaesthetists' Society - 51st Annual Meeting in Edmonton, Canada, 17-21 June, 1994. "Ambulatory Surgery and Children with Suspected or Proven Malignant Hyperthermia". Oral poster presentation at The Canadian Anaesthetists' Society - 51st Annual Meeting in Edmonton, Canada, 17-21 June, 1994. "Ondansetron reduces Postoperative Vomiting in Pediatric Strabismus Surgery". Oral presentation at the Annual Meeting of The American Society of Anesthesiologists, San Francisco, California, October 15- 19, 1994. "The Dose Response of Caudal Morphine in Children undergoing Open Heart Surgery". Poster presentation at the Annual Meeting of The American Society of Anesthesiologists, San Francisco, California, October 15- 19, 1994. "Children Suspected or Proven Susceptible to Malignant Hyperthermia undergoing Ambulatory Surgery". Poster presentation at the Annual Meeting of The American Society of Anesthesiologists, San Francisco, California, October 15- 19, 1994. "Is there any advantage to the addition of bupivacaine to an epidural infusion of fentanyl in children undergoing urological surgery?" Poster presentation at the Annual Meeting of The American Society of Anesthesiologists, San Francisco, California, October 15- 19, 1994. "Acute Paediatric Pain- A Canadian Experience." Poster display at the 4th Liverpool National Symposium "Pain After Surgery", Chester, England, November, 1994. Awarded Prize for Best Poster Display. “Are prophylactic antiemetics necessary to reduce postoperative nausea and vomiting in children induced with propofol for strabismus surgery?” Oral presentation at The Meeting of The Association of Paediatric Anaesthetists in Bristol in March, 1996. “Do non-steroidal anti-inflammatory drugs increase bleeding after paediatric tonsillectomy?” Poster discussion at The Pediatric Anesthesiology Meeting, in Sanibel, Florida, USA in February, 2000. A meta-analysis of postoperative nausea and vomiting comparing propofol and sevoflurane. Poster display at The Society of Intravenous Anaesthesia meeting, New Orleans, USA in October, 2001. “The development of packets for in-theatre teaching and learning of paediatric anaesthesia: an Action Research Project.” Poster Display at The Association for the Study of Medical Education, Annual Scientific Meeting in November 2001, Dublin, Ireland. A meta-analysis of postoperative nausea and vomiting comparing propofol and sevoflurane. Poster display at The Society of Intravenous Anaesthesia meeting (UK), November 2001. ‘The development of packets for in-theatre teaching and learning of paediatric anaesthesia: an Action Research Project’. Poster Display and Oral Presentation at The Annual Scientific Meeting of The Society for Education in Anaesthesia, Eastbourne, November 2001. Awarded Prize for Overall Best Poster Discussion. Carr AS, Wright D, Sneyd JR: A meta-analysis of postoperative nausea and vomiting comparing propofol and sevoflurane. Oral poster discussion at The European Society of Anaesthesiology, Nice 2002. Carr AS, Cooper N: Action learning in healthcare: what may be achieved? Poster Display for the ILT 2002 Conference in Edinburgh, June 2002. Carr AS, Wilks S: Development of a Framework for E-learning for Phase 2 of the BM BS Undergraduate Course. Poster display for The Harvard-Macy Physician-Educators Programme, Boston 2004. Carr AS: Introducing a Career Progression Framework for Short-listing Applications for Specialty Training in the Peninsula. Poster display at the ASME Conference on Recruitment into Foundation and Specialist Training Programmes in the UK, December 2007. Adams D, Sice P, Anderson I, Gale T, Lam H, Langton J, Davies P, Carr A. Validation of simulation for recruitment to training posts in anaesthesia. Poster Display at MMC National Symposium on Recruitment, July 2008. Adams D, T Gale, Langton J, Davies P, Lam H, Sice P, Anderson I, Carr A. Description of a Department of Health Pilot for anaesthesia selection, South West Peninsula Deanery. Poster Display at MMC National Symposium on Recruitment, July 2008. Adams D, Gale T, Langton J, Davies P, Lam H, Sice P, Anderson I, Carr A. Description of a Department of Health Pilot for anaesthesia selection, South West Peninsula Deanery. Poster Display at Association of Anaesthetists of Great Britain and Ireland Conference, Torquay, 2008. G Crossingham, I Anderson, T Gale, A Carr, F Patterson, J Langton, M Roberts, P Sice, P Davies, H Lam. The Efficacy of a Machine Marked Test for Recruitment into Acute Specialties in the South West Peninsula Deanery, Poster Presentation at SEA UK meeting, March 2009, Newcastle. G Crossingham, I Anderson, T Gale, A Carr, F Patterson, J Langton, M Roberts, P Sice, P Davies, H Lam. The Efficacy of a Machine Marked Test for Recruitment into Acute Specialties in the South West Peninsula Deanery, Poster Display at July 2009 ASME Annual Scientific Meeting, Edinburgh. Sice P, Crossingham G, Gale T, Roberts M, Lam H, Davies P, Langton J, Carr A. Video Benchmarking of Simulation based workplace assessments. Poster presentation at the Association of Medical Education Europe Annual Conference, Aug 2009, Malaga. Selection in Medicine Conference, London, April 2010. Carr A, Hamilton P What is expected from Foundation Programme Doctors applying for Specialty Training in England (ST1/CT1)? Poster display at ASME Selection in Medicine Conference, London, April 2010. Crossingham G, Anderson I, Carr V, Davies P, Roberts M, Patterson F, Carr A, Sice P, Lam H, Langton J, Gale T. Acute Specialties Selection Pilot: Development of a Specialty Specific Situational Judgment Test. Poster display at ASME Selection in Medicine Conference, London, April 2010. Carr A, Gale T, Anderson I, Patterson F, Roberts M, Carr V, Crossingham G, Davies P, Lam H, Sice P, Langton J. A machine marked test for recruitment and selection into core specialty training programmes in the Acute Specialties. Poster presentation at the Ottawa Conference, Miami, May 2010 . Carr A, Irish B, Rowley D, Gale T, Patterson F Using situational judgment tests of non-cognitive attributes in Specialty Selection: Implications for policy in all medical specialties. Oral presentation at the Ottawa Conference, Miami, May 2010. Anderson I, Carr V, Davies P, Roberts M, Patterson F, Carr A, Crossingham G, Sice P, Lam H, Langton J, Gale T. Is a Situational Judgment Test Valid and Reliable in Selection to Anaesthesia and Acute Care Common Stem Programmes in England? Poster presentation at the Association of Medical Education Europe Annual Conference, Glasgow, September 2010. Carr A, Gale T, Carr V, Anderson I, Roberts M, Dacre J, Patterson F. National evaluation of the use of a computer based situational judgment test for selection into Specialty Training at ST1. Oral presentation at ASME Annual Scientific Meeting, Edinburgh, July 2010. Carr AS, Buggle S, Sullivan E, Hamilton P In what specialties do doctors apply for entry into Specialty Training and how successful are they? An analysis of Specialty Selection at ST1/ CT1 in 2011. Poster presentation for the UKFPO/ Northern Deanery Careers Conference, September 2011. Carr AS, Buggle S, Sullivan E, Hamilton P Competition into ST3 Surgery and how successful are doctors from Core Surgical Training in being selected? Poster presentation for the UKFPO/ Northern Deanery Careers Conference, September 2011. Ardolino T, Cheung R, Carr A. Communication skills measurement at CT1/ST1 recruitment. Poster presentation for the UKFPO/ Northern Deanery Careers Conference, September 2011. Awarded prize for best poster. Carr A, Chung R, Ardolino T. How should communication skills be assessed in selection for entry into postgraduate medical specialty training at ST1/CT1 level? Oral presentation at the Ottawa Conference, Kuala Lumpur, 2012. Carr A, Gale T, Anderson I , Dacre J, Patterson F. How does a situational judgment test designed for selection into specialty training in the acute specialties on a national basis perform for selection into other specialties? Oral presentation at the Ottawa Conference, Kuala Lumpur, 2012. Gale T, Anderson I, Sice P, Holmes K, Carr A. Simulation for high stakes assessment in the selection centre setting. Workshop at the Ottawa Conference, Kuala Lumpur, 2012. Reynolds C, Tavare A, Carr A. Does completing a core surgical training programme lead to an ST3 job in England? Poster display at the Association for Surgeons in Training Annual Conference, Cardiff, March 2012. Tavare A, Reynolds CJ, Carr A. What types of surgical posts lead to success at selection into higher specialty training in England? Poster display at the Association for Surgeons in Training Annual Conference, Cardiff, March 2012. Tavare A, Reynolds CJ, Carr A. What is the relationship between themed core surgical training posts and the likelihood of progression into surgical ST3 posts in England? Poster display at the Association for Surgeons in Training Annual Conference, Cardiff, March 2012. Gordon PC, Carr AS: Difficult Intubation prior to Coronary Artery Surgery: J Cardiothoracic and Vascular Anesthesia 1994; 8: 485. Courtman SP, Rawlings E, Carr AS: Masked bleeding post-tonsillectomy with ondansetron. Paediatric Anaesthesia 1999; 9: 467. Courtman SP, Carr AS: Ondansetron-falsely accused? A Reply. Paediatric Anaesthesia 2000; 10: 343. Barker L, Carr AS: The Bair that did not hug. Paediatric Anaesthesia 2000; 10: 346-7. Courtman SP, Carr AS: Epidurals- isn’t one enough? Anaesthesia 2000; 55: 500. Courtman SP, Carr AS: Horners Syndrome-more than meets the eye? Paediatric Anaesthesia 2000; 10: 455.Carr AS, Barker L: The Bair that did not hug. A reply. Paediatric Anaesthesia 2001; 11: 256. Burdett H, Carr AS. In pain and sickness. Paediatric Anaesthesia 2002; 12: 655-6. Evans P, Sunderland R, Carr A: Re: Training in pediatric anesthesia for registrars- UK National Survey. Melarkode K, Abdelaal A, Bass S. Pediatric Anaesthesia 2009 19: 872-878. Pediatric Anesthesia 2010; 20: 195- 207. Gale TC, Roberts MJ, Sice PJ, Langton JA, Patterson FC, Carr AS, Anderson IR, Lam WH, Davies PRF. Non-technical skills and recruitment of anaesthesia trainees. Reply to Dr C Frerk. 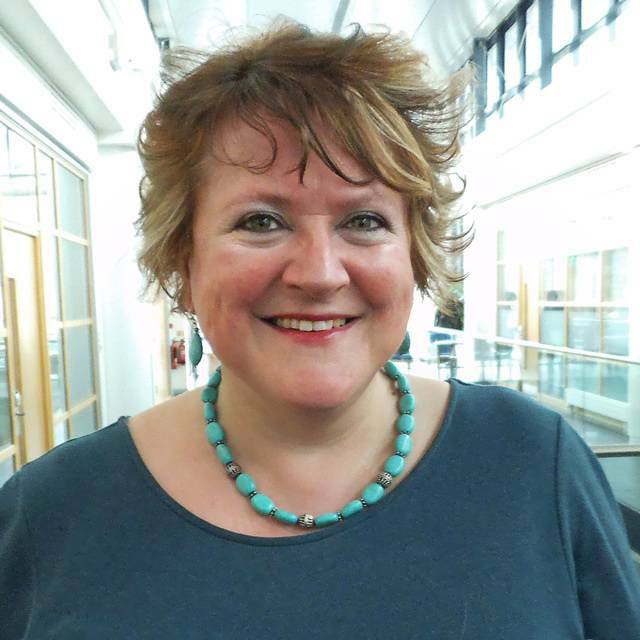 Professor Alison Carr is Director of Postgraduate Education for Plymouth University Peninsula Schools of Medicine and Dentistry and Medical Director for the new PG Diploma in Physician Associate Studies. Since her appointment in 2012, Alison has led the development and implementation of the Postgraduate Programmes in the Medical School. Alison has held a number of education roles: Senior Clinical Advisor to the Medical Education and Training Programme of the Department of Health, previously Modernising Medical Careers, in London (2008-2013) and in Health Education England (2013- 2014), Deputy Postgraduate Dean in the South West Peninsula Postgraduate Deanery (2005-8),Director of Phase 2 curriculum for the Peninsula College of Medicine and Dentistry (2002-5), Foundation Programme Director in Plymouth (2004-5), Education Director for the South West School of Anaesthesia (2001-5) and College Tutor in Plymouth (1999- 2002). Alison also works as a Consultant Anaesthetist at Derriford Hospital.